United Southern Bank is a supporter of Relay for Life. This year, USB employees decided to add a little extra fun to their ‘fun’draising. 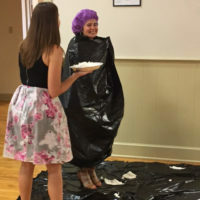 Raise $500 collectively, the HR Director, Martha Argotte Thomas would take a pie in the face. 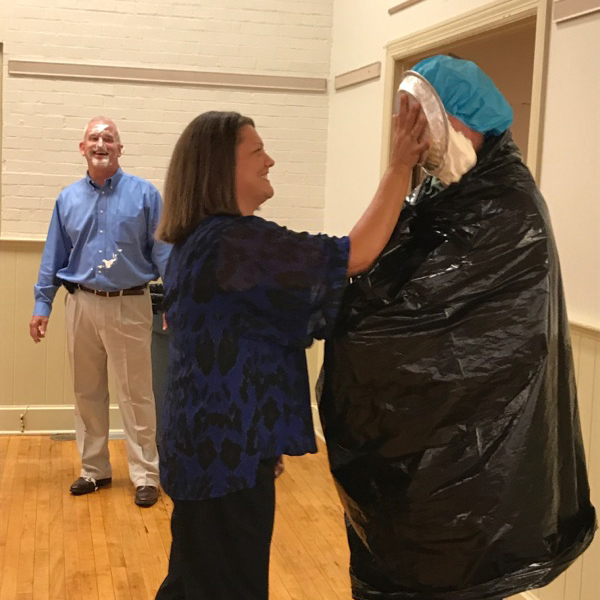 Raise $1000 collectively, and the bank President, Billy Bingham would take a pie in the face. USB employees are proud to announce that not only did they meet the challenge,…. the goal was exceeded!! 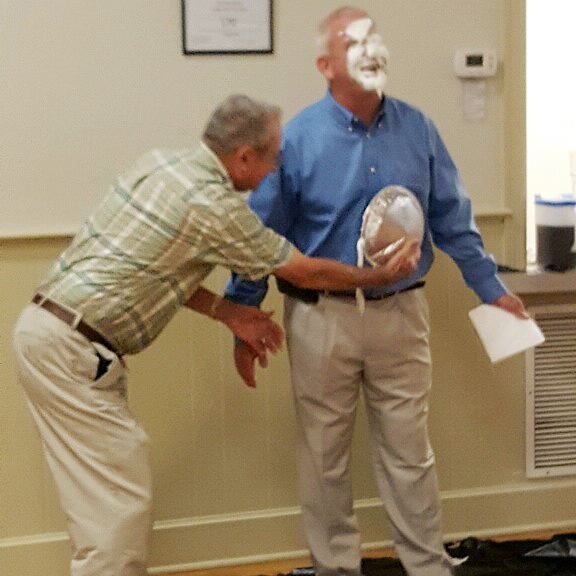 The Main branch raised the most money so Randy Coombs, Christian County Market President also participated in the fun. 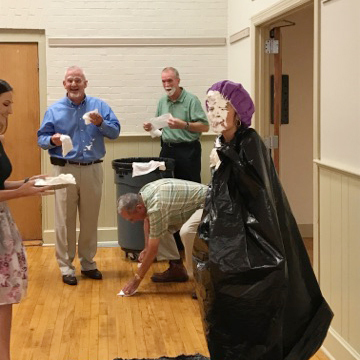 At a recent staff meeting, all three recipients proudly received a pie in the face in the name of Relay for Life. « Walk to End Alzheimer’s!